Discussion in 'Pokémon Guilds' started by Eliteknight, May 4, 2017. 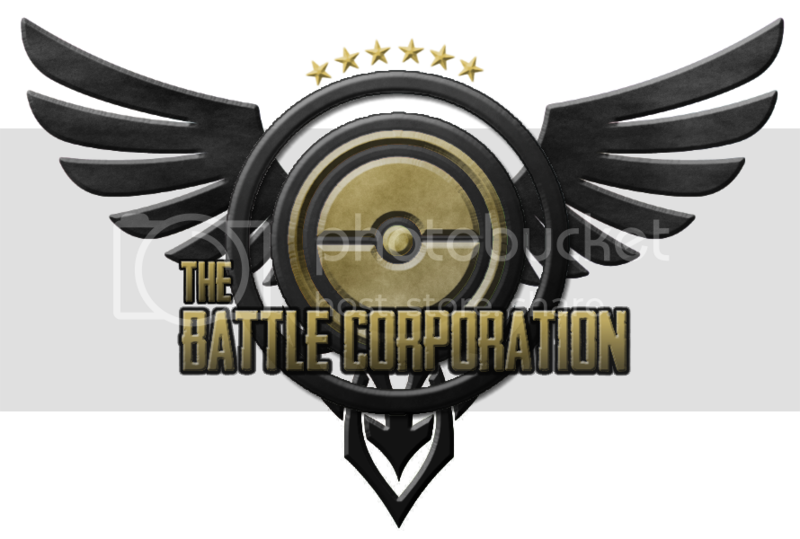 The Battle Corporation. Once a very well established guild here on Serebii we rose quickly and had a short reign. We fell but now we have returned. To become successful you will need to work very hard and keep up with the fast paced beat of the work force. If you don’t have the ambition to do well you will be let go of and we don’t often give second chances. You either contribute to the Corporations goal or leave.Our Goal to have a Monopoly over Serebii. Please follow these to the best of your ability. The leaders are here to do just that. Lead. Respect them and they will respect you. All there is to it. All their decisions are final. If you have an issue though, go to them. They will try to help as best they can. All battles count unless both parties are specifically aware of the fact that the battle does NOT count. This decision must be reached PRIOR to the first turn. Every time you engage in a guild battle the scores MUST be posted in the correct format. Should you leave us 3 times you will be banned from the clan. Any banned members many not enter our chat or threads hosted by our clan. Win 10 Battles at your Current Rank and then challenge the person in the rank above you for a rank up battle if you win you will rank up. Once you have reached 10 wins at your current level you can challenge a battler in the rank above you for a chance to level up this can be done by posting the following. "I hereby challenge [insert username here] for a rank up battle for the rank of [insert rank here]"
Should you win you will rank up, should you lose you will remain your previous rank. *Previously obtained Ko's will not count towards ranking up sorry. Become a PASBL Elite Four, Gym Leader or Gym Trainer! Complete Your matches by the deadline or you will be banned for the next Tournament. Even if your opponent isnt in TBC a minitour match will count towards your record! Elite you getting a good team back together. Guild discord is live, message me for the link, also once we get a few more people ill begin hosting guild tournaments!